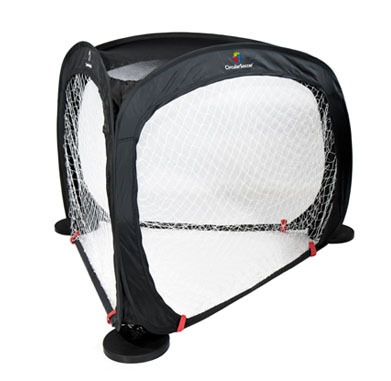 Trigoal is a unique concept introduced by Circular Soccer- Ireland &amp; distributed by National Sports. It&rsquo;s world&rsquo;s first tri sided goal that encourages player at all level to think &amp; react faster under pressure, be more competitive &amp; add new skills to their game . Played in a circular manner so that the layer can score on all three sides thus enhancing his shooting skills & ball control. Being used by leading clubs already. Leave defenders in the dust or control the ball like the world’s best striker. 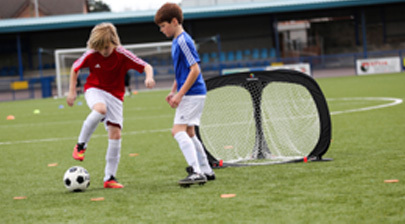 TriGoal™ helps players explode into action with improved balance, cuts and closer touches when in possession, giving greater responsiveness and personality to their game. With continued use, experience brilliant control as you keep the ball in a sprint or when searching for an opening in those close-touch situations. Can transform coaching for grassroots soccer. Breathe new life into sports classes in primary and secondary education. Be an exciting new game that gets kids off their games consoles playing virtual soccer games and outside to play the real thing. Circular Soccer is for any gender, any level, any surface at anytime. From professional coaching to amateur clubs, in PE classes or in your own garden with friends Circular Soccer is a new way to play the beautiful game. It engages players quickly and has an unlimited number of uses and drills that range from speed and skill to attacking and defending. Enhancing leadership & developing quick decision making skills through increased creativity.